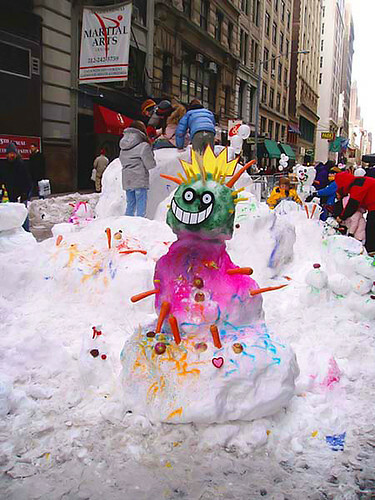 Snowman, NYC style, originally uploaded by Goggla. I think this is the most awesome snowman I have ever seen. This was taken at a hot chocolate fair on W 18th St.